Listen Closely presents music workshops for kids! SIGN UP to attend one or more workshops here! For the Love of Music is an educational program that gives young children the opportunity to experience classical music in an exciting and engaging environment. Through interactive live performances, guided listening, and exploratory conversations, children will discover how to listen deeply and communicate openly. Each series will consist of six weekly sequential sessions, and will focus on an overarching theme that incorporates both social and musical concepts. The workshops will be led by uptown-based teaching artists Katherine Liccardo and Matt Consul. Katherine Liccardo, a native New Yorker, made her Carnegie Hall Stern Auditorium solo debut at age 18 as the winner of the Metropolitan Youth Orchestra Concerto Competition. Katherine received her Bachelor of Music Degree from Mannes College The New School for Music and her Master of Music Degree from the Manhattan School of Music. She has participated in the Norfolk Chamber Music Festival, Kneisel Hall Chamber Music Festival, Manchester Music Festival, and Bowdoin International Music Festival. Katherine is currently a member of Shattered Glass Ensemble, a self-governed conductorless string orchestra based in New York City. The ensemble just released their premiere album featuring pieces by living composers Caroline Shaw, Tarik O’Regan, and a commission by Pascal Le Boeuf. Highlights from the upcoming season include a residency at Kneisel Hall Chamber Music Festival, collaboration with The Ear Classical, and performances at their new home base in Washington Heights. Katherine is a certified Suzuki teacher and holds a teaching position at the Queens College pre-college division, in addition to maintaining a private studio in Manhattan and on Long Island. During the summers she is faculty at Kneisel Hall’s Program for Maine Students and Berkshire Summer Music. Multi-instrumentalist Matt Consul holds a BM in Viola Performance and MM in Contemporary Improvisation on mandolin and violin from Boston’s New England Conservatory of Music. He was formerly the principal violist of Boston’s highly-acclaimed chamber orchestra Discovery Ensemble. Now based in Washington Heights, Matt regularly performs chamber music around New York City through Groupmuse, a social network that brings communities together through chamber music house parties. He also frequently plays with the Washington Heights Chamber Orchestra and the Cayuga Chamber Orchestra. 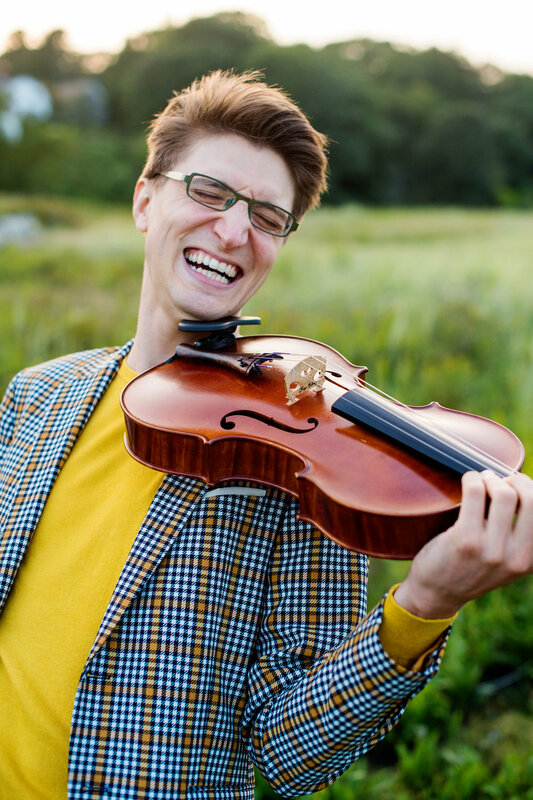 Matt combines his passions for performing and education as a teaching artist, and he has given numerous educational chamber music performances and workshops for young people from Pennsylvania to Maine. Beyond his work in classical music, Matt is active in a variety of musical circles ranging from folk to bluegrass to rock. He played mandolin, violin, and sang with the alternative folk group the Laura Grill Band and has toured with The Dear Hunter. Can I bring children who are not within the age range of 7-11? Yes you can! The activities and concepts will be geared to that age group, but you're welcome to bring kids slightly older or younger. Can I just attend some of the workshops, or do I need to come to all six? Yes, absolutely. We recommend coming to all of them, but it will still be beneficial to come to some. Can I drop my child off at the workshop? No, a parent or guardian is required to bring the child to each workshop and stay with the child for the duration of the workshop. Thank you for your cooperation!